Revelation of the Head, an exhibition which encapsulated the endless fascination with this remarkable body part. 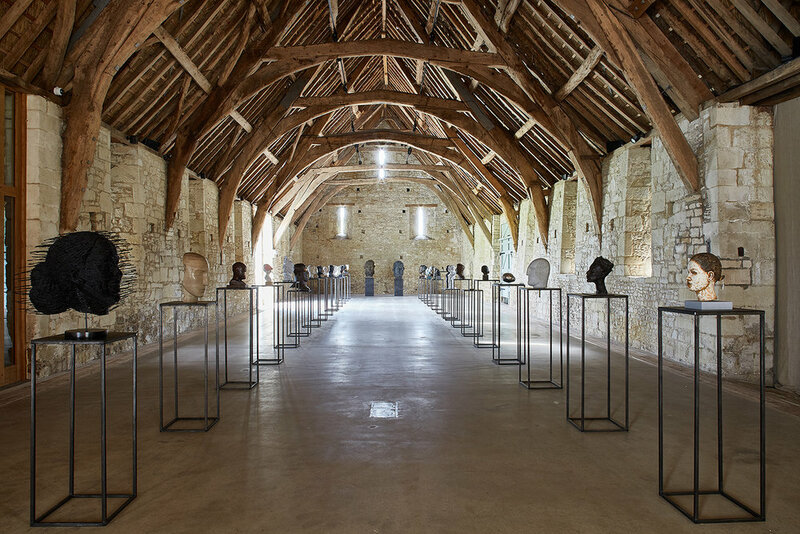 The 13th century barn of Messums Wiltshire was the setting for a carefully chosen selection of some of the best heads that history has to offer; ranging from ancient Greek and Egyptian examples to contemporary, self-referential depictions such as painter Jonathan Yeo’s first foray into sculpture – a life size bronze self-portrait Maquette for Homage to Paolozzi – created from an ingenious combination of virtual reality and advanced 3D scanning. For 18 months through 2016-2017 Jonathan experimented with various innovative technologies related to image making, including virtual reality and advance 3D scanning. Through a partnership with Google Arts and Culture, he collaborated with Google’s engineers on their Tilt Brush software, which lets users paint in a 3D space using virtual reality technology. Described as a new genre which bridges painting and sculpture, the piece was crafted within a virtual "life room", using the HTC Vive headsets with the Tilt Brush tools and OTOY scans. By making solid structures based precisely on the kind of gestural marks which painters would normally use on canvas, this platform opens the door to an entirely new process, both for artists already working in three dimensions and those (like Jonathan) with little or no previous experience.